This lovely white satin and organdy christening gown is made by Sarah Louise, a top designer British designer of beautifully detailed baby garments for more than 20 years. 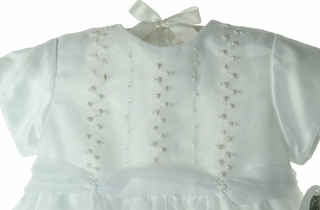 The organdy over satin yoke is embroidered with rosebuds and seed pearls. 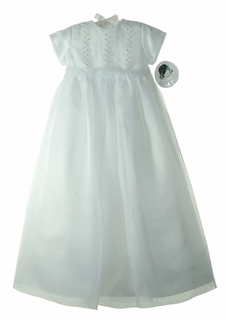 It has a simple round neckline and short cap sleeves. 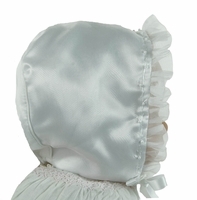 The very full skirt organdy skirt is lined and has an attached crinoline slip for added fullness. 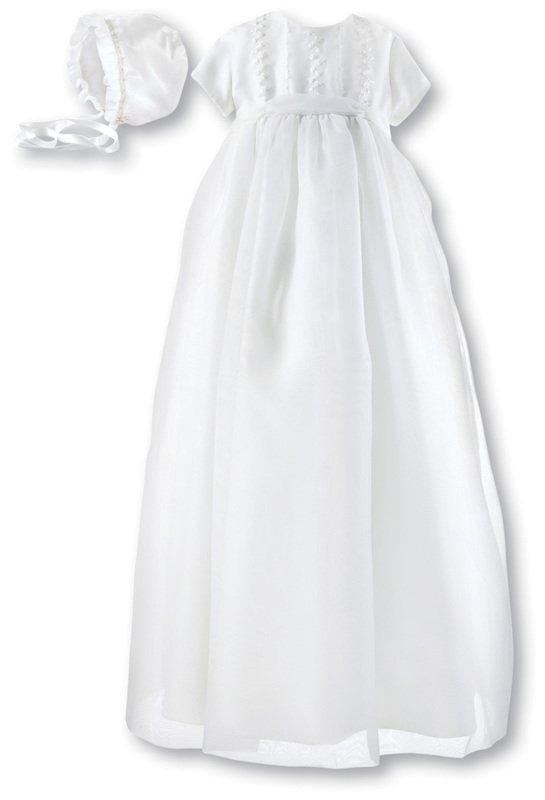 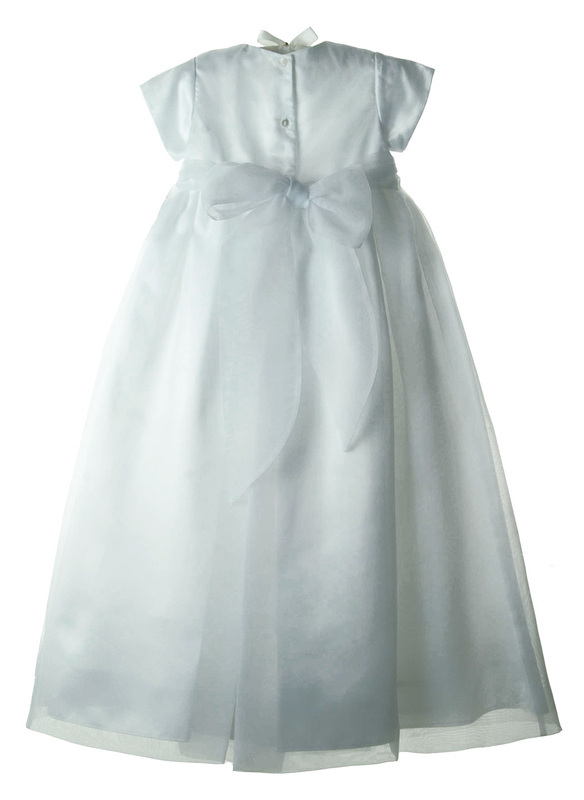 It closes in the back with 3 small buttons and has a wide organdy sash that ties in a sweet bow. 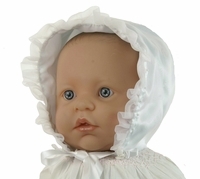 The matching bonnet is embroidered with featherstitching and tiny seed pearls accented with an organdy face ruffle.